Overview: Let's go, girls! Hunky hunk is on his way and a girl's gotta look her best if she wants to nab his heart. 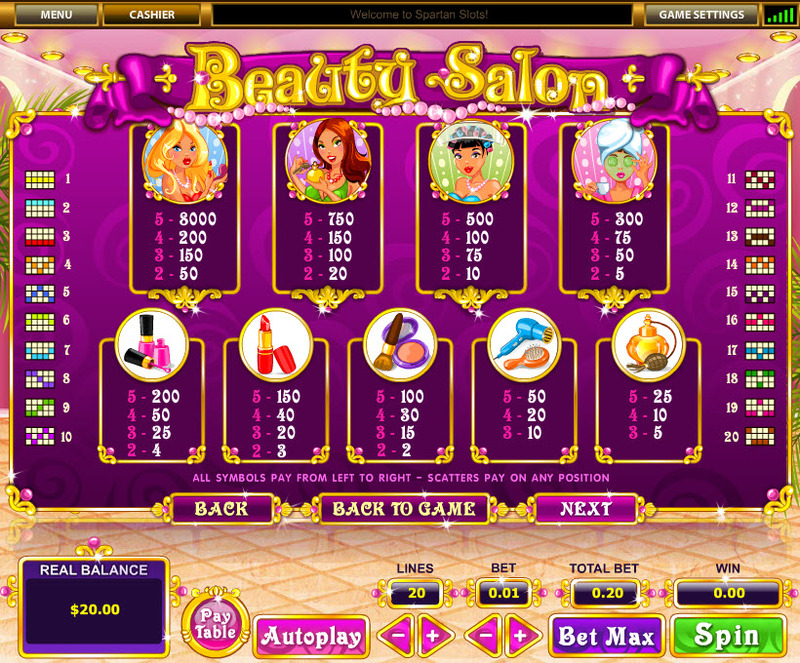 Get your nails done anywhere on the reels for up to 20 free spins! 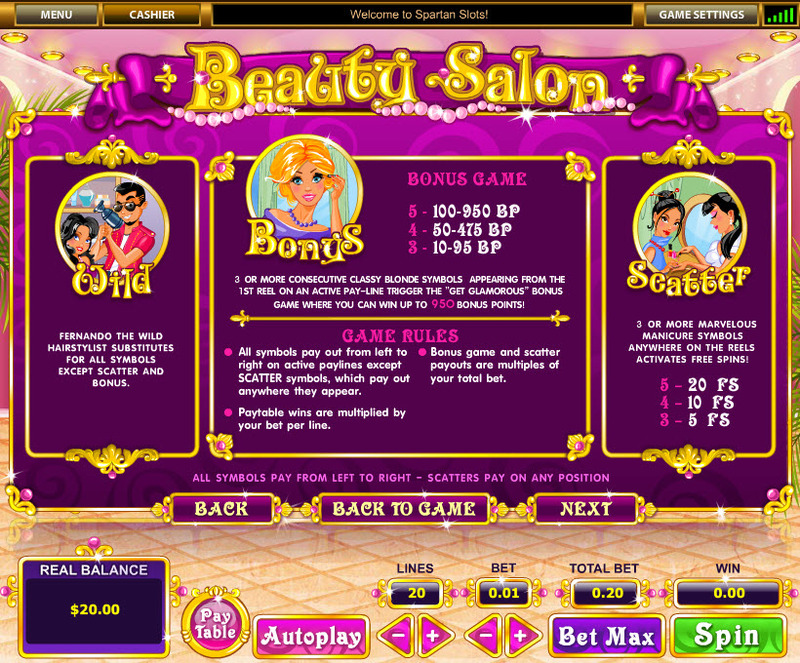 Let Fernando blow-dry your hair WILD, while you wait for a bonus pampering and a full makeover. OMG, he's almost here! Pick the right lipstick and mascara before you meet Mr. Right in the Bonus Round! 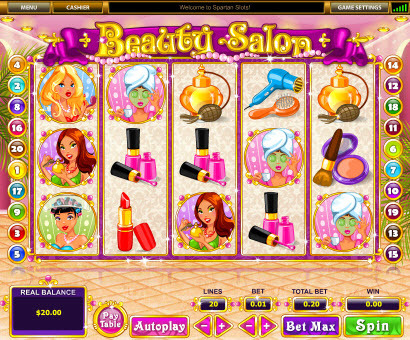 Similar Slots: If you like Beauty Salon, you might like these other slot machines from Top Game: Carnival of Venice, Daytona Gold, Fantacy Nuts, Lucky Number, Voyager's Quest.